Working in a bustling office with a lot of co-workers and people standing around chatting can lead to distraction and poor productivity. 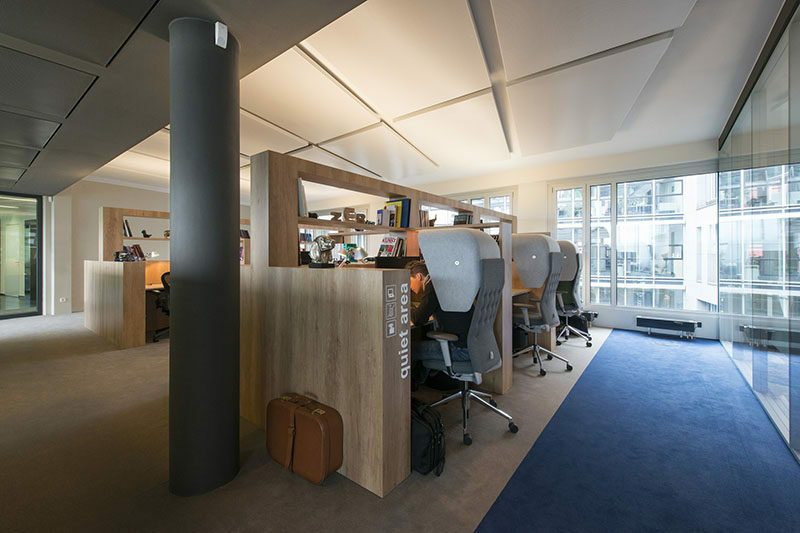 The Swiss architecture and design studio Evolution Design has come up with a solution to this problem in the form of a designated Quiet Area, as seen here in the recently completed zeb offices in Munich, Germany. 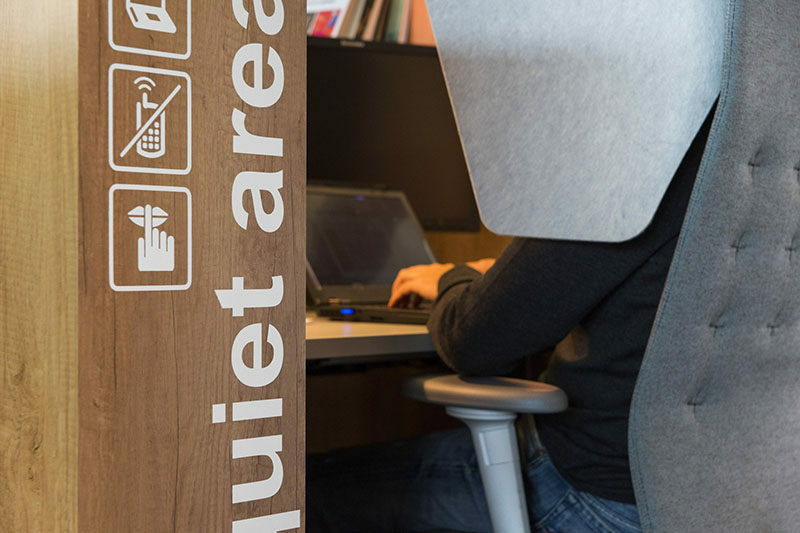 The office’s Quiet Area creates a space that’s ideal for working on things that require concentration and focus. 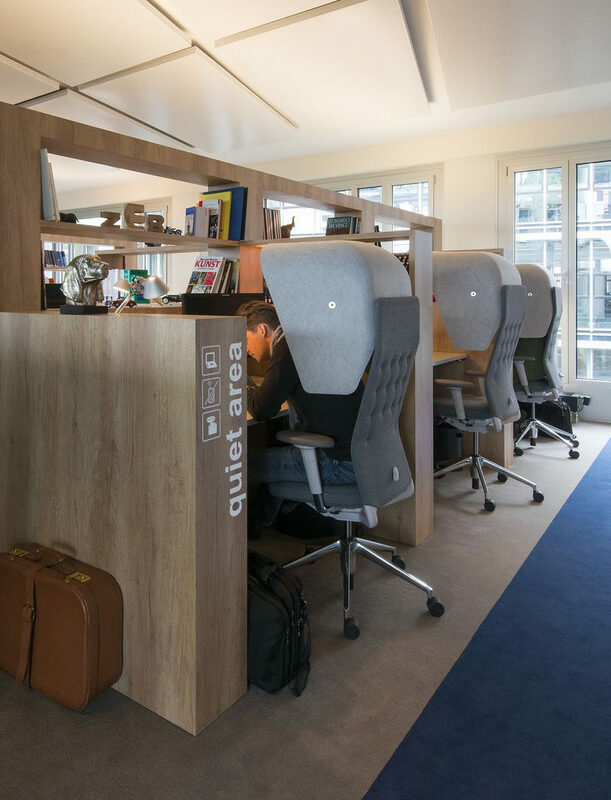 Desks divided by thick wood partitions, signage letting people know it’s a quiet space, and Vitra ID Trim Cap office chairs with felt hoods, all help to block out any outside sounds and create less opportunity for distraction.